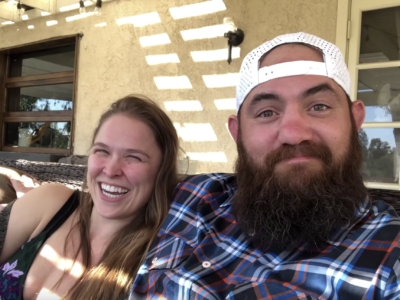 RondaRousey.com’s Wrestler of the Week series profiles significant wrestlers from the past and present. Nikki Bella isn’t seen as one of those professional wrestlers who dreamed about stepping into the squared circle since childhood. She and her twin sister Brie were hired during the Divas era of women’s wrestling in WWE, when looks were prioritized over in-ring ability. However, though she and her sister were considered villains in the early days of the Women’s Revolution, Nikki managed to become an engaging wrestler in this current era in her own right. One with the star power to co-headline WWE’s Evolution pay-per-view in a RAW Women’s Championship match against champion Ronda Rousey. Nikki Bella—born Stephanie Nicole Garcia-Colace—started modeling and doing promotional work while she was in college, appearing alongside Brie on reality shows and commercials. But things would take an interesting change of course in 2006 when the twins auditioned to be members of the WWE roster via the Diva Search. While that didn’t work out—they didn’t make the cut for that season—the twins were still signed to WWE’s pre-NXT developmental territory, Florida Championship Wrestling, in 2007. They debuted on SmackDown the following year. Brie Bella officially debuted first in a match against Victoria on August 29, 2008, which she won after rolling out of the ring, going underneath it for a moment, and then emerging—revitalized—to pick up the W. That Halloween, Victoria discovered a second pair of legs when she tried to grab her opponent from under the ring. The next week, Victoria and Natalya both tried to grab Brie from opposite sides of the ring and ended up pulling out Brie… and a near-identical woman that the WWE Universe would soon learn was Nikki Bella. After a year-long hiatus from WWE, The Bellas returned to WWE with something new up their sleeve: Total Divas. The E! reality show became a huge hit, providing The Bellas (and their fellow castmates) with new storylines, new fans (many of which didn’t even watch wrestling), and new mainstream popularity. 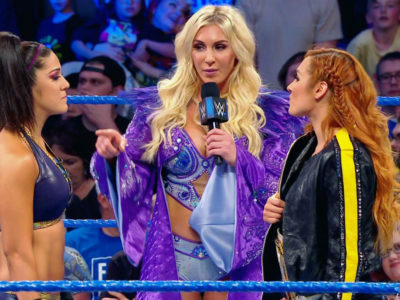 Both the success of Total Divas and Brie Bellas’s real-life marriage to WWE Superstar Daniel Bryan—acknowledged on WWE programming as a result—led to the sisters getting more prominent storylines and screentime. However, the Divas era still prevented them from getting enough time in the ring to capitalize on that newfound notoriety. But as the profile of The Bella rose in both wrestling and mainstream media, the landscape of the WWE women’s division also began to change. AJ Lee and the first NXT Women’s Champion-turned-main roster star Paige battled The Bellas in the name of a revolution for women in wrestling. Nikki defeated Lee—with Brie’s help—to become Divas Champion for the second time and stood atop the division, a villainous symbol of the status quo for aspiring women’s wrestling stars like Charlotte Flair, Sasha Banks, and Becky Lynch to try to strike down. After holding the title long enough to become the longest-ever reigning Divas Champion—for 301 days, a record which can never be beaten since “the butterfly belt” was retired in favor of the revived Women’s Championship—Nikki lost it to Charlotte Flair. Despite her antagonistic role in the division, it was clear that Nikki Bella could hang in the ring with these new Women’s Revolution wrestlers—but this period of her career stalled after she sustained a neck injury that required surgery. Her journey to return to the ring was well-documented on Total Divas and its spinoff series Total Bellas, which gave WWE and reality TV fans alike an inside look into just how dedicated she was to her career in sports entertainment and as an in-ring competitor. Despite coming up in an era of WWE in which women’s wrestling was quite often an afterthought, Nikki played and continues to play a big part in raising the profile of women’s wrestling in mainstream media, and the candid depiction of her recovery especially showed both the physical risks of the artform and the hard work and heart required for wrestlers to keep doing what they love. At SummerSlam 2016, Nikki Bella returned to the WWE ring—with a new, more neck-friendly finishing move than her old Rack Attack—as the surprise tag team partner for Natalya and Alexa Bliss. She then officially returned as a member of the SmackDown roster, ending up the blue brand’s women’s team captain at that year’s Survivor Series. Though she had several high-profile feuds and matches upon returning, Nikki’s biggest moment by far ended up being her mixed tag team match with her real-life, longtime boyfriend John Cena (against The Miz and Maryse) at WrestleMania 33. But even bigger than that was one of the most romantic moments in the history of WrestleMania: After they won the match, Cena proposed to Nikki. She said yes. After this, Nikki took some more time off from wrestling (again, due to her neck) but continued to represent WWE on her reality shows, The Bella Twins’ popular YouTube channel, American Ninja Warrior, and even Dancing With The Stars (where she incorporated a wrestling move into a tango). Nikki and Brie showed up—again as threats to Revolution-era stars—in the first ever Women’s Royal Rumble match, with Asuka eliminating Nikki to punch her ticket to WrestleMania. On a personal level, the Cena-Bella breakup kept Nikki in fans’ minds and in the tabloids later in 2018. But Nikki and Brie officially returned to WWE again at SummerSlam to support Ronda Rousey, eventually teaming with her in tag matches on RAW and the Super Show-Down. Not content to play sidekicks to the champ, the Bellas turned on Rousey. with Nikki challenging her for her RAW Women’s Championship and claiming responsibility for this era of women’s wrestling in WWE. In fact, Nikki and Brie said they were starting a “Bellalution” at the champ’s expense. Rousey, on the other hand, would disagree. It’s been a long road for both women—and the WWE—to get here, but the former Diva and the former UFC champion will face off as opponents at Evolution, WWE’s first all-women pay-per-view, on October 28.